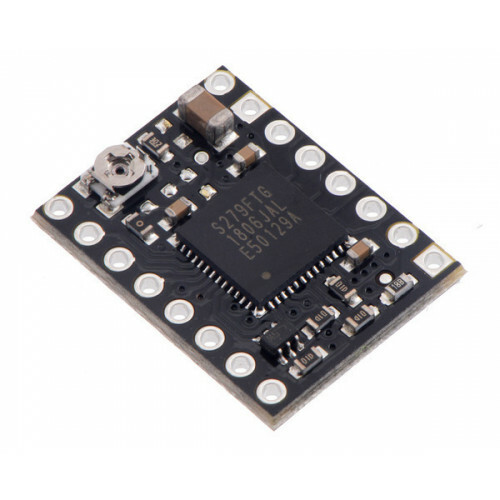 This breakout board for Toshiba’s TB67S279FTG microstepping bipoloar stepper motor driver is arranged in the popular 16-pin Pololu form factor, making it a more compact alternative to our full breakout. 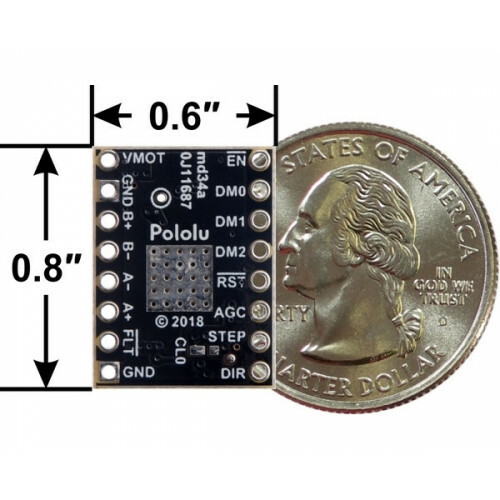 It features adjustable current limiting and seven microstep resolutions (down to 1/32-step). Additionally, it dynamically selects an optimal decay mode by monitoring the actual motor current, and it can automatically reduce the driving current below the full amount when the motor is lightly loaded to minimize power and heat. 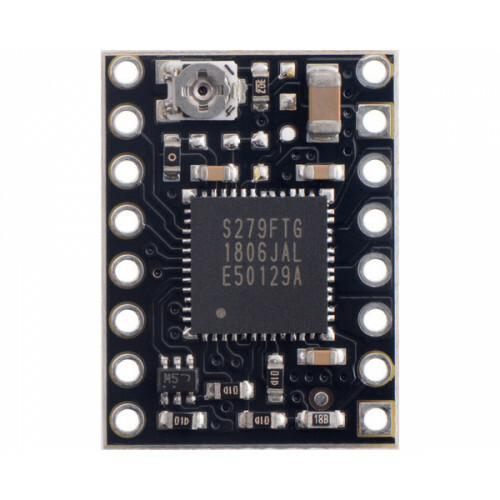 The TB67S279FTG has a wide operating voltage range of 10 V to 47 V, and our carrier board can deliver approximately 1.1 A per phase continuously without a heat sink or forced air flow (up to 2 A peak). 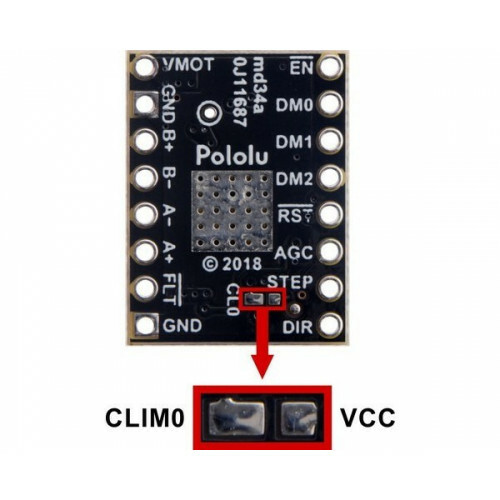 It features built-in protection against under-voltage, over-current, and over-temperature conditions. TB67S2x9FTG Stepper Motor Driver Compact Carrier, bottom view with dimensions. This compact version uses a TB67S279FTG driver and can deliver approximately 1.1 A per phase continuously without a heat sink or forced air flow (up to 2 A peak). It can be distinguished by the marking “S279FTG” on the driver IC. 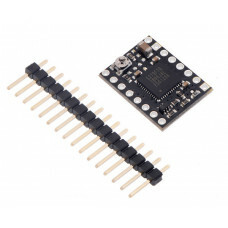 For more information about this driver, please read the TB67S279FTG datasheet (536k pdf). 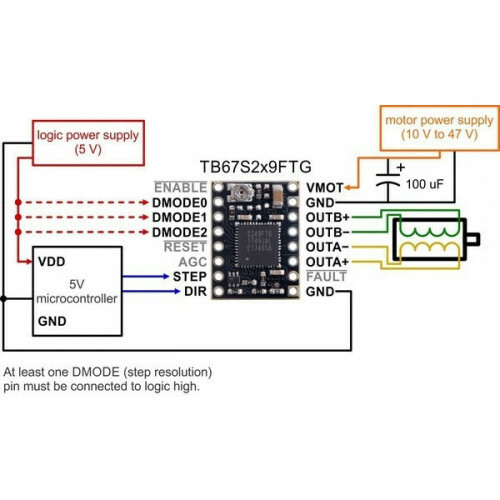 Four, six, and eight-wire stepper motors can be driven by the TB67S2x9FTG if they are properly connected. 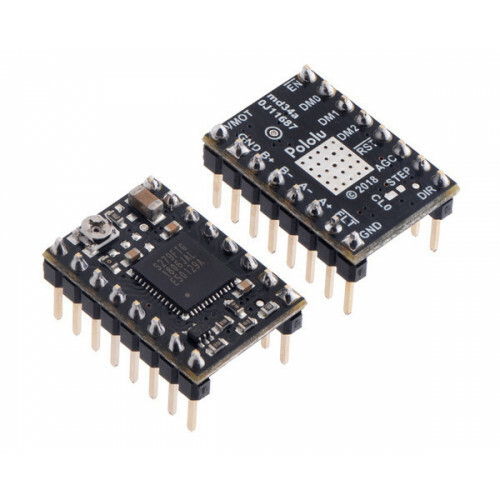 Warning: Connecting or disconnecting a stepper motor while the driver is powered can destroy the driver.